Between them, propertyCEO founders Ritchie Clapson and Ian Child have over 65 years of property development and business experience. They firmly believe that property development should be accessible to anyone looking to create a better financial future for themselves, and want to dispel the myth that development is too difficult or advanced for inexperienced people to attempt. 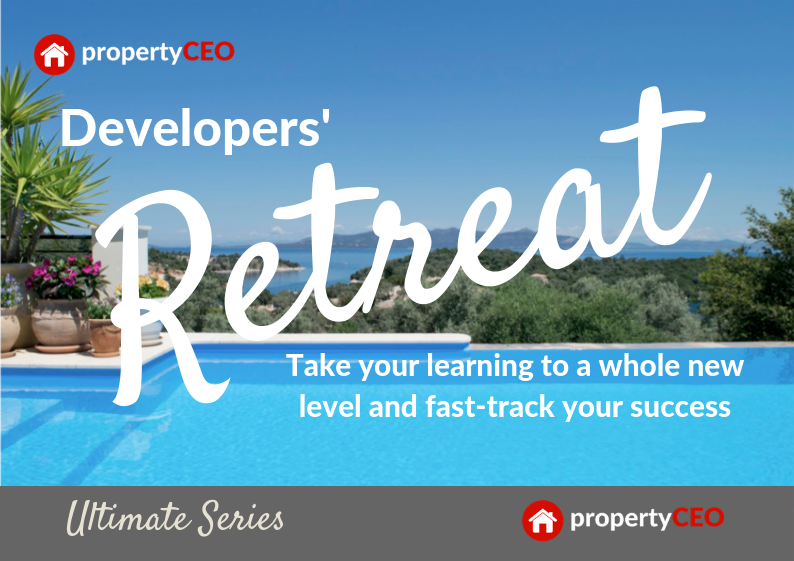 Having mentored both new and experienced developers over many years, the new range of propertyCEO events and courses allow their unique property development, business and personal development training to be accessed by a whole new audience. 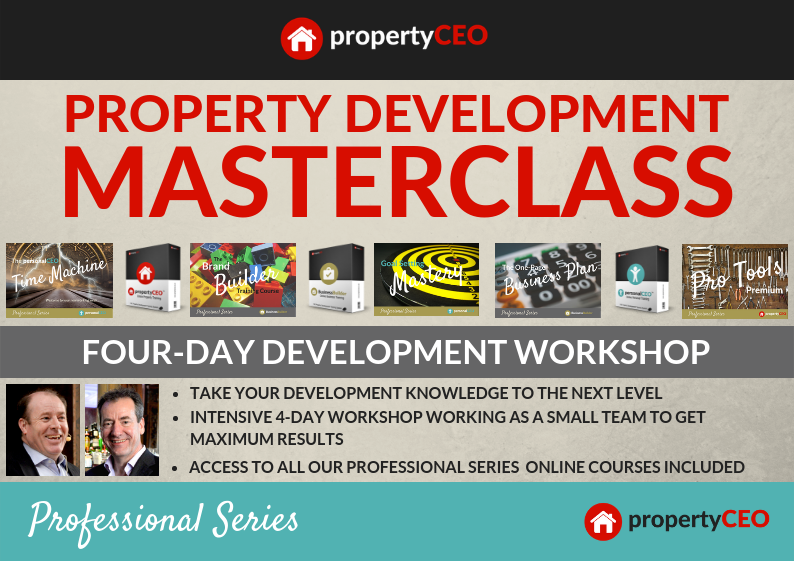 propertyCEO offers a range of courses and mentorships covering all aspects of property development, including our 1-day Industrial Conversions Workshop, our online property development Foundation course and an intensive 4-day Development Masterclass. For those looking for an even more focused approach, propertyCEO’s Ultimate Series mentorships and live trainings are the perfect tools to fast-track your success and to leverage everything that propertyCEO has to offer. You’ve probably heard of Commercial Conversions – the highly lucrative strategy of converting commercial properties into residential units. However there’s a similar strategy that’s frequently overlooked by many developers; let us introduce you to the little-known world of Industrial Conversions. 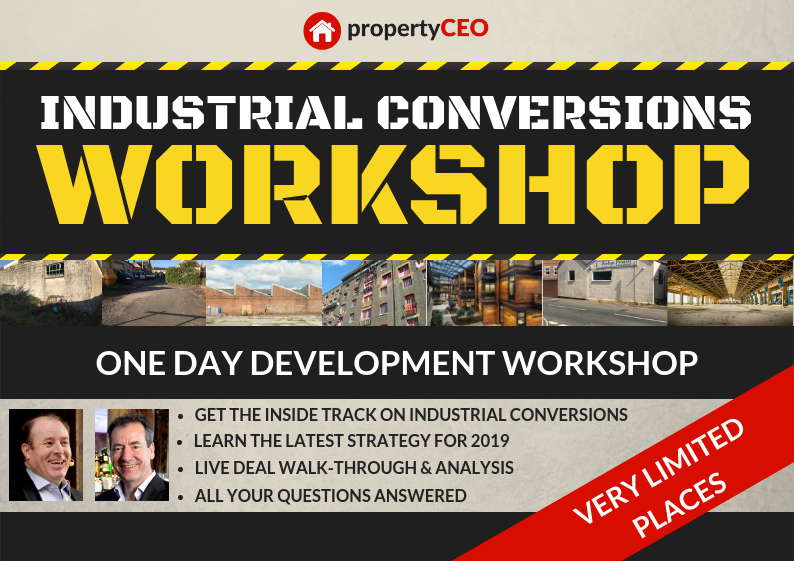 In this one-day workshop we give you the inside track on this fascinating strategy, allowing you to not only find your own industrial conversion deals but also giving you the concepts that will able to convert them successfully, and to see what others miss. 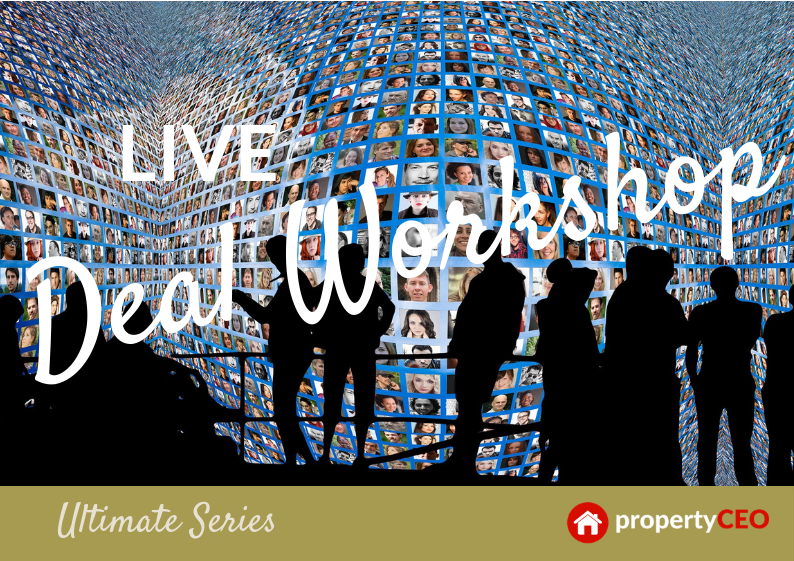 This is set to be a hot strategy for 2019 and propertyCEO is leading the way – check out our 6-page feature in February’s edition of YPN Magazine or better still, get yourself along to our next Workshop and find out first hand how you can take advantage. 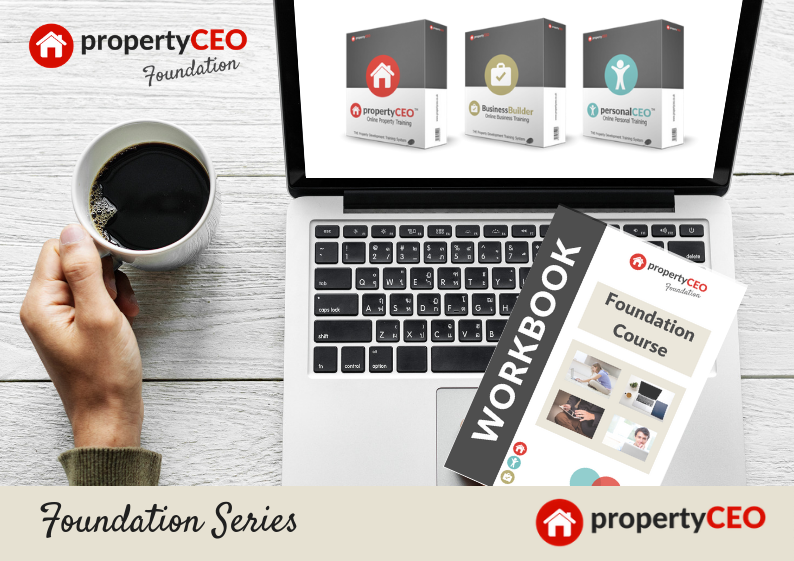 The propertyCEO Foundation course is the definitive online training course for both new and experienced property developers. It provides an end-to-end, step-by-step guide to the entire development process, which will allow you to do any type of development; from new builds to commercial conversions to flips. We’ve also included a unique bonus – a detailed training guide to Industrial Conversions so that you can get the inside track on this great strategy – however the Foundation course will allow you to tackle ANY type of development project, whether large or small. Graduates of our online Foundation course are invited to join the 4-day Development Masterclass – an intensive training camp for serious new and existing developers who are looking to take their property aspirations to a whole new level – and in the shortest possible time. The 4-days are full on – lots of hands-on experience as we get to grips with the sharp end of property development. We also give you an exclusive range of additional online training courses focused on dramatically improving your productivity and effectiveness so that can absolutely NAIL your property business objectives. If you’re serious about making big money from development, the 4-day Development Course is definitely for you. Finding profitable deals is the lifeblood of every developer and if practice doesn’t make you perfect, it can certainly get you close! In our live monthly workshops we bring together our top performers, mentors and students so that you can look at live deals and LEARN. So often the biggest opportunities in life were created by people who saw something that others couldn’t. Property development is no exception – and the propertyCEO team have made thinking outside the box something of a speciality. See how seemingly impossible developments were brought to fruition with substantial profits, and learn how to make the planning process your friend and not your enemy. This will give you so much knowledge and experience and bring a whole new dimension to your own projects, allowing you to see many more opportunities and to evaluate deals much more effectively. Mentoring is where it all began for propertyCEO; it’s the combination of over 65 years of experience combined with access to our experts and our professional network, our best tools and of course direct access to Ritchie and Ian. Where other mastermind groups may train 60 or more people and teach a dozen different strategies, we take just 10 mentees, focus purely on development and as a result we turn them into property developers. Why do we invite such a small number? Because that way we have the best of chance of making sure EVERYONE succeeds. How do we know only people who are a good fit will be invited to apply? Because we interview each of them first to make sure that they’ll work well within the group, regardless of what specific property or personal experience they already have. 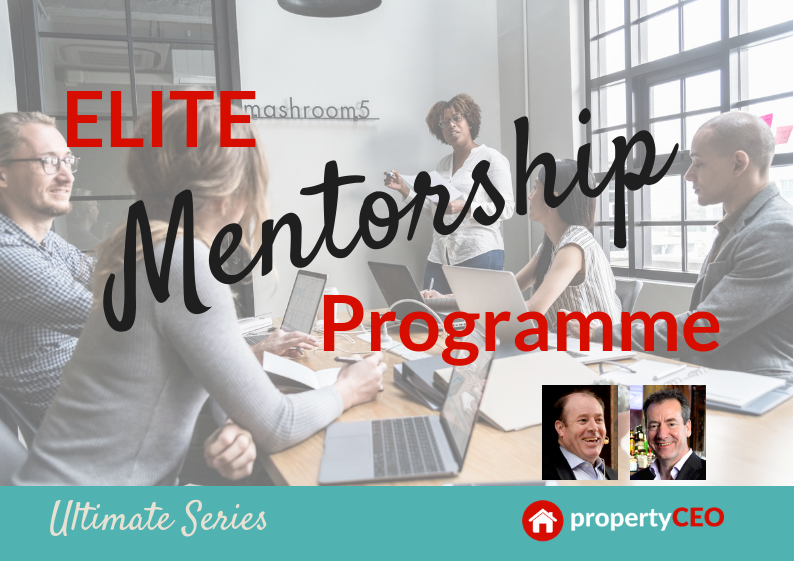 The Elite Mentorship Programme lasts for 12 months – and we’re so confident that you’ll be successful, if you haven’t found a six-figure deal during that time, Ritchie and Ian will work with you personally free of charge for up to a further 6 months to make sure you find one. Join a highly exclusive group and enjoy both group and one-to-one mentoring in spectacular surroundings. It’s amazing what can happen when you unplug yourself from the day-to-day and really start to focus on your property business. A genuine combination of business and pleasure, the Developers’ Retreat hosts a maximum of 10 mentees where the focus is on taking your property development business to a whole new level. To find out whether propertyCEO is a good fit for you, please attend one of our webinars where we explain how our system works and why it can deliver such amazing results. Access is completely free; simply click on the button to access the webinar.